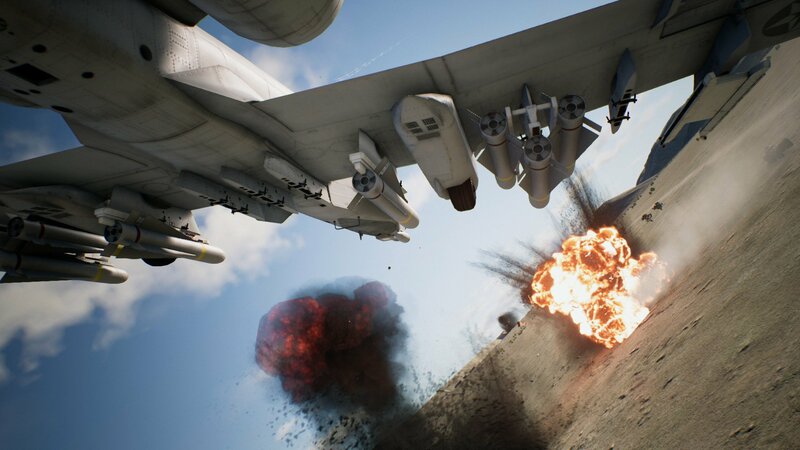 Bandai Namco's Ace Combat 7 is about a month away from being released. We got a chance to clock some flight time with its PvP modes before launch. 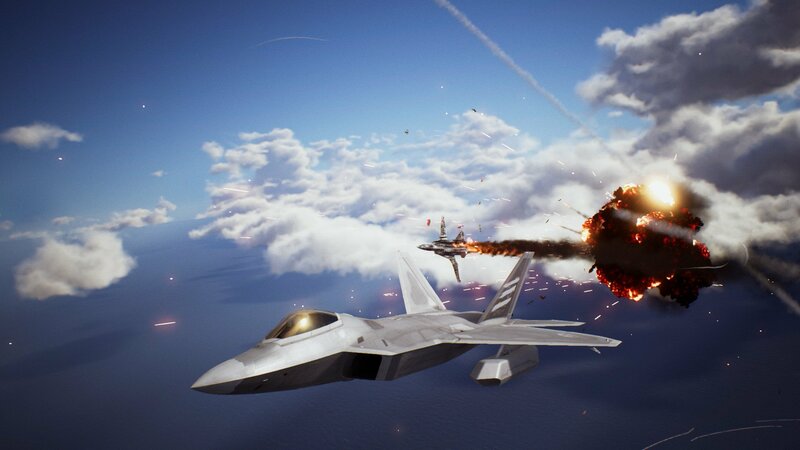 Over the last year or so Bandai Namco has offered up a glimpse here and there of what players can expect to see from the final version of Ace Combat 7. So far, I’ve personally had a chance to go hands-on with the single-player campaign as well as a few of the PSVR exclusive missions. Now, as the game’s January release date draws closer, we’re finally getting a look at its PvP multiplayer modes before they go live. Multiplayer combat is very straightforward: pilots pick out their fighter jets as well as their weapons before heading to the skies to take part in either an 8-player free for all or a 4v4 team match up. Free for all multiplayer is a rather intense experience, as one would expect. While the AI pilots in story mode can be predictable enough when trying to lock on and blast them with a missile, but human opponents are a whole other creature altogether. The 8-player frenzy is a constant ballet of trying to avoid being locked onto by an enemy missile while hoping you can keep up with your own target. Fortunately, a kill isn’t necessary to accrue points. Getting any sort of hit whether its a couple of bullets to a chassis or a direct hit with a missile will help players get on the scoreboard. Flying solo with seven possible bogeys on your tail makes for an intense experience. Players may want to spend some time researching or practicing tactics beforehand if they want to keep up with more seasoned players. I’m a fairly decent Ace Combat player, but definitely not a pro, and I found myself ranked safely in the middle rankings after most matches. Team deathmatch is a whole other ballgame compared to free for all. Having three other players who can bait an opponent into chasing them down or help you shake someone off your tail isn’t as frantic as going solo, instead, it relies on more on strategy and communication with your team. Working with a capable team definitely helped beef up my overall rank post-match. No matter what mode players participate in or what their score was, everyone gets medals for certain accomplishments during matches. So if you manage to make it through a match without getting killed, or take out the most opponents, or dodge a certain amount of lock-ons, you could get a medal as a pat on the back. You can check out the video below for an over-the-shoulder look at all the deathmatch features in action. So far, everything I’ve seen of Ace Combat 7 has made it look like it’s going to be a robust entry for the series. Between the solo campaign and multiplayer modes, fans of the series will have plenty to keep themselves occupied. Players who opt for the PS4 version will also get even more content in the form of special PSVR exclusive missions. 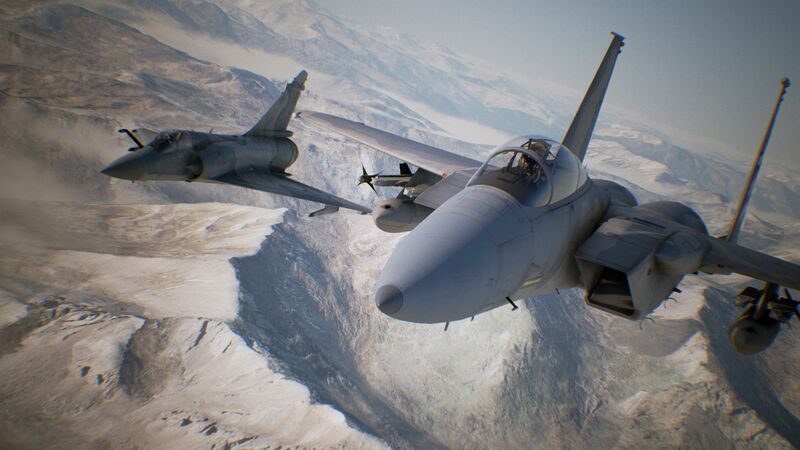 Ace Combat 7 is set to launch on January 18 for Xbox One, PS4, and PC. Exciting! I kind of wish they brought back co op missions from Infinity. Maybe as an update they’d bring that back. I’m still reeling from their stealth port of AC5 to PS4 as a pre order bonus and am holding out hope for AC04 and Zero to show up at some point at least in emulated form if not remasters.